Fully automated bale ejector: simplifies removal of bales. Unique patented prong shaper design eliminates the need for pallets when lifting, stacking and transporting bales. 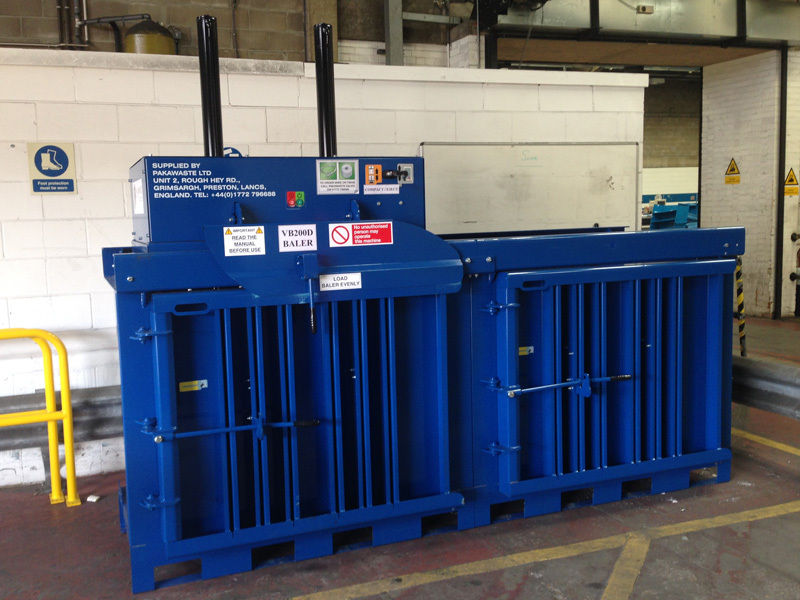 For more information about our VB200D baling system, or any other waste handling equipment, please contact our team today!